This is the horrifying moment a Brazilian rapper was shot dead in a shower of bullets during a concert. 30-year-old Robson de Souza was killed when six out of ten shots fired by a hooded gunman pierced his body. The rapper was the only victim of the attack in Brazlandia, near Brasilia, which was witnessed by his wife who had just taken selfies with him minutes before the attack. 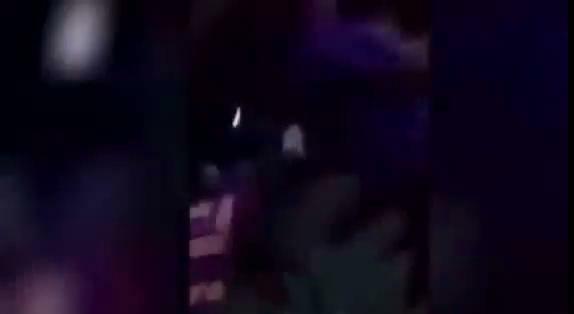 In the video, released by authorities last Friday, the concerts audience can be seen frantically scattering as shot were fired. Some of the rappers fans attempted to save him by transporting him to hospital in a car. According to De Souza’s uncle, he was not aware of his nephew having any enemies who would have wanted to cause him any harm, Brazilian newspaper El Globo reported. So far no arrest have been made. The hip hop artist was buried afternoon on Tuesday, April 18, 2017. Kanye West Giving Up His AMA Award Back In 2008 To Lil Wayne Because He Didn't Feel He Deserved It!